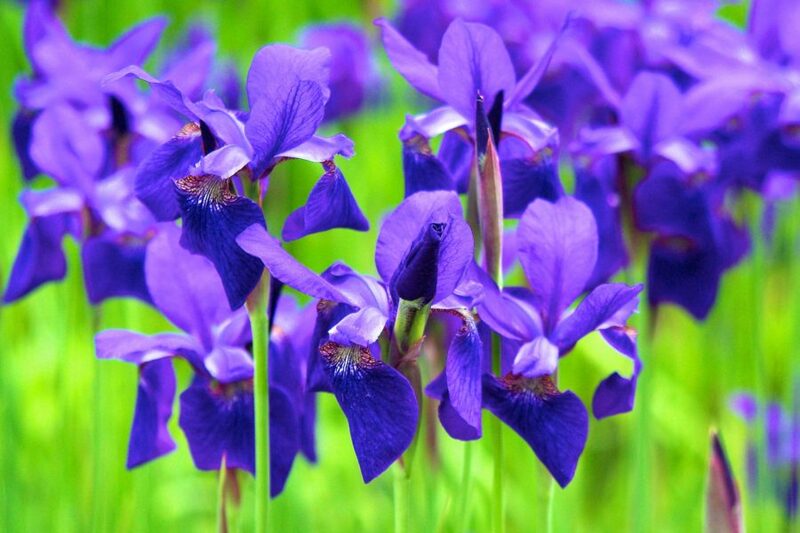 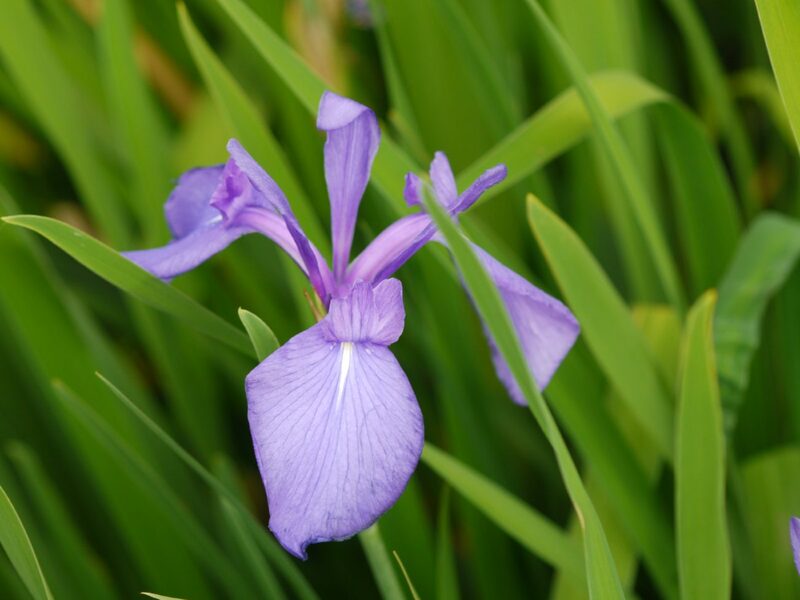 Native to China, Korea, and Japan, Laevigata iris should have constant moisture in order to stay healthy and achieve large blooms. 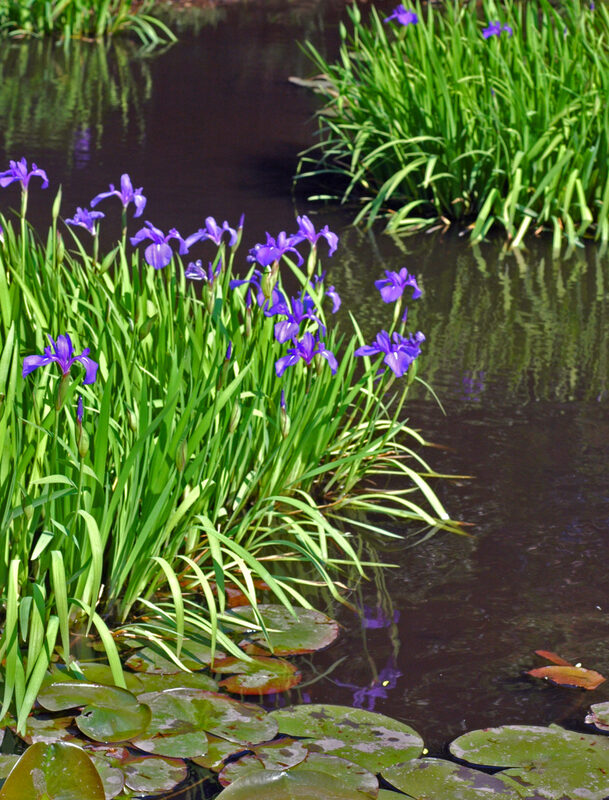 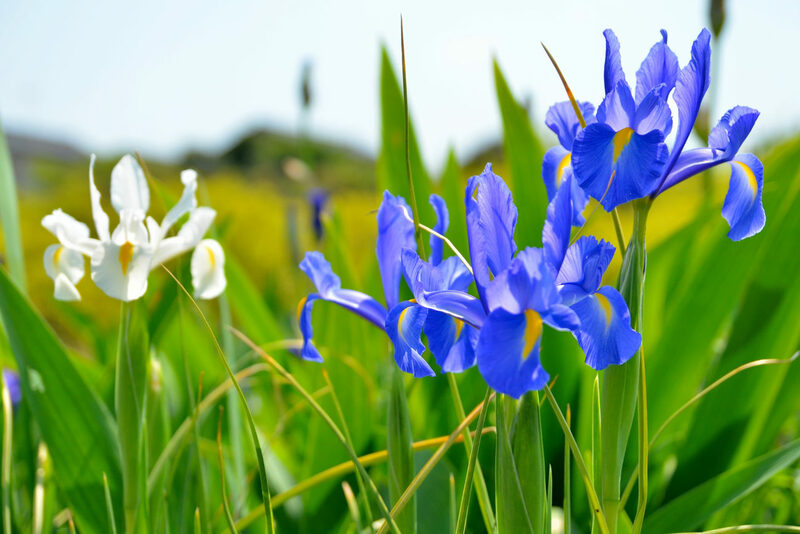 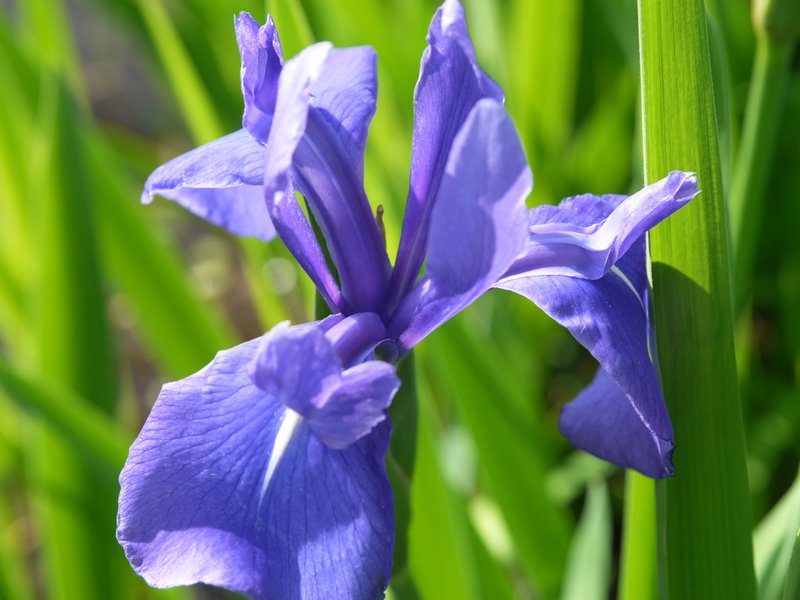 In contrast to Japanese iris (Iris ensata), it will grow with its crown under water. 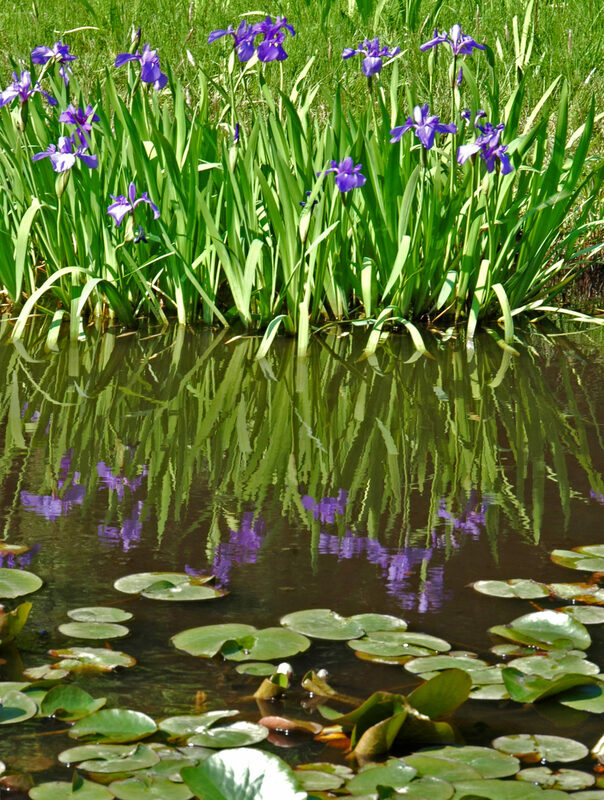 You can plant it in a natural pond at the water's edge, in a submerged pot, or in a moist garden setting. 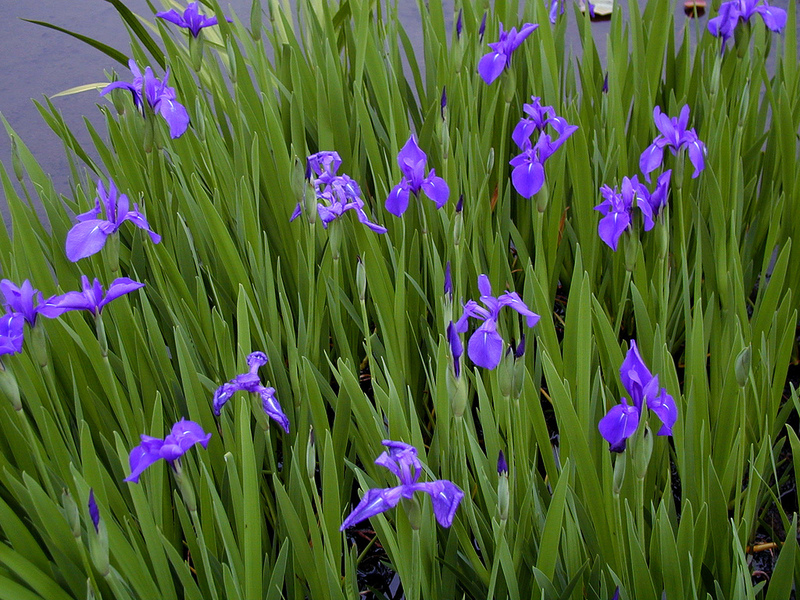 Flowers are usually blue, purple or violet and have unique patterns. 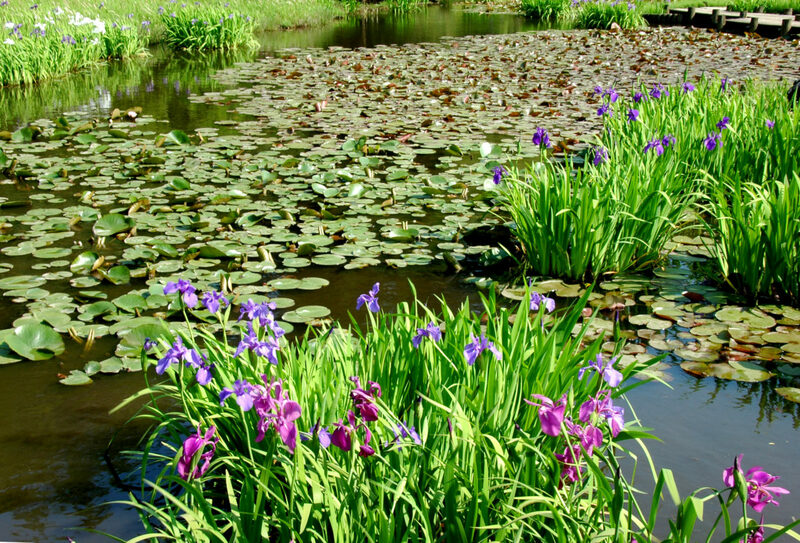 Is a true bog plant, best in constantly moist, acid soil, even in shallow water.